Gay TV as we know it is dead. Just as MTV pulled the plug on music programming in the '90s, the network's younger, swishier cousin, Logo, has decided to say goodbye to its original raison d'être: gay-focused television. One reaction has been to bemoan the news and call Logo a traitor for walking out on its community. But given the current state of Logo's programming, the decision just may be a blessing in disguise for the gay rights movement. None of Logo's upcoming series include gay characters in "lead" roles, according to a press release announcing coming programming changes, first revealed by Queerty. Instead, the network has opted to green-light only female-friendly, gayish knock-offs of the reality shows Toddlers & Tiaras and Mob Wives, with show titles like Eden Wood's World and Wiseguys. Even RuPaul's Drag U is getting a revamp to reach a more mainstream audience. In other words, the new Logo will be a Cuisinart-blended cocktail of Bravo, Lifetime, and Oxygen, with a pink boa as garnish. Why the change? Most LGBTs don't see showcasing their sexual orientation as a priority on television, according to a study Logo conducted. This isn't surprising. Most real-life conversations don't start with "Hi, I'm a homo." Instead, we define ourselves as electropop fans and Foursquare addicts and cat freaks who just happen to be gay. However, just because we don't lead with "I'm gay" doesn't mean we don't want to see gays on reality shows altogether. Once upon a time, multidimensional, just-happen-to-be-gay characters did exist on reality TV. Before the days of Richard Hatch and RuPaul, there was The Real World, the godfather of modern reality programming and the first to dive deep into what it meant to grow up gay. 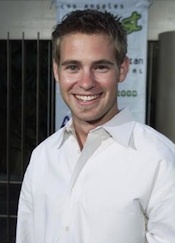 For me, The Real World gave me the inspiration to come out, thanks to Danny Roberts from The Real World: New Orleans, which aired in 2000. 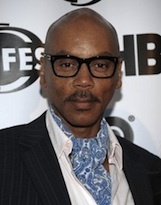 Danny was one of the first masculine depictions of a gay male on reality TV, and the first whose identity wasn't tied to AIDS or being disowned. Danny made being gay seem like it was No Big Deal, and apparently I wasn't the only one who idolized him -- even America's gay sweetheart, Neil Patrick Harris, has said Danny inspired him to come out. But unfortunately, Danny is one of the few footnotes in the history of understated gay male reality stars. The Real World soon bid adieu to the just-happens-to-be-gay archetype, at the same time abandoning its mission to create conversation about sexuality, gender, and race. Instead, the network shifted toward a new generation of Real Worlders, casting hair-pulling, tequila-swigging party chicks and frat bros in locales like Cancun and Vegas. Meanwhile, in 2003, reality TV producers finally found a ratings-friendly spot for gay men when Queer Eye for the Straight Guy hit the scene on Bravo. Soon, every woman had herself a Gay Best Friend, and her sidekick often doubled as a stylist, makeup artist, or interior designer. Fast forward to the Real Housewives franchise, wherein for the greater part of the last decade, Bravo has made a half-billion-dollar franchise out of seemingly deplorable women who just happen to be propped up by their doting GBFs. In 2009 Logo decided to take the Bravo template and turn it on its head, plucking out the gay best friends and granting them their own fabulous reality platform. With "Fierce TV" as its new slogan, Logo abandoned its Subaru-heavy, lesbian-leaning, activist roots and led with gay -- in a big, big way. And so came RuPaul and his fierce drag queens, who starred in essentially a female makeover show with a flamboyant twist. Then there was The A-List, also known as "Housewives with Balls," which was advertised on graffiti-strewn billboards aggressively placed around NYC. The A-List was Logo's attempt to recreate the soap opera of The Real Housewives but within a supposedly aspirational set of New York gay socialites. The problem? Women apparently didn't tune in to see their gay best friends making a fool of themselves on Logo -- and neither did gays. The A-List has failed to make a dent in ratings, especially compared to the Bravo reality juggernaut (The A-List: New York garnered around 150,000 viewers per episode, while Housewives episodes receive up to 4 million viewers per episode). Gay viewers have likened the series to a gay minstrel show, and its cast members have been eviscerated by The New York Times. To their credit, even the A-Listers themselves seemed uncomfortable with the entire premise onscreen, dispassionately reciting testimonials in bitchy gayspeak likely fed to them by the show's producers. A-List cast member Reichen Lehmkuhl, once a just-happens-to-be-gay cult hero who won The Amazing Race 4 with his then-partner Chip, was reduced to defending himself against various unsubstantiated rumors and venomous plotlines. Evidently, Fierce TV struggled not just to draw ratings but also to make over-the-top gay stereotypes seem convincing. Even Bravo, which has taken a more restrained approach to integrating the gay community in its reality programming, has had varied success elevating a gay male to a successful lead role. Jeff Lewis, who starred in Flipping Out for five seasons, will be sharing center stage with his cohort Jenni Pulos in the upcoming Interior Therapy. In a very Will & Grace twist, the pair will move into clients' houses in order to judge their interior spaces. 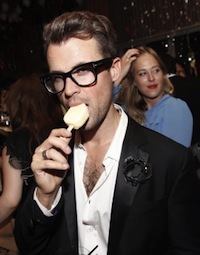 Meanwhile, Brad Goreski, who just two years ago was Rachel Zoe's styling assistant on The Rachel Zoe Project, recently graduated to star in his own series It's a Brad Brad World. The show has gotten slammed by gay viewers and critics alike, with The New York Daily News describing Brad as "unpleasantly narcissistic." The fact is, Brad was charming, quirky, and lovable when he played the role of Rachel's whipped assistant, and we found ourselves rooting for him because he was the underdog. In the new series we see him trying to be someone he's not: a self-consumed, drama-craving boss who wants an assistant to fetch him protein shakes. Like the A-List characters, he comes off as inauthentic, but it's not Brad's fault; he's just trying to fit into the reality-show-lead-character mold. At this juncture in America, reality-show leads are best left to the tried-and-tested bitchy straight woman, and Logo is doing the gay community a favor by taking us out of the spotlight. Sure, most people are smart enough to make the distinction that all gays aren't like those gays on Logo, just as Italians aren't all table-flippers like those ladies on The Real Housewives of New Jersey. But when it comes down to it, we live in a country where the vast majority of gay Americans can't marry legally, and there's a real threat of an anti-gay candidate becoming president. And, as unfortunate as it may be, stereotypes on TV greatly influence straight America's perception of who we are. That's a reality we don't want to point and laugh at.